Dragoon's is a hand embroidered Argentinian polo belt which is made of brown saddle leather. The bel..
Made of brown saddle leather, Rifles is a hand embroidered Argentinian polo belt. The belt is stitch..
Royal Hussars is a hand embroidered Argentinian polo belt which is made of brown saddle leather. The..
Royal Lancers is a hand embroidered Argentinian polo belt which is made of suede finish capybara sty..
Made of brown saddle leather, Royal Scottish is a hand embroidered Argentinian polo belt. The belt i..
Amboseli is a hand made Kenyan beaded, brown leather belt that has a traditional native de..
Ampleforth is a hand embroidered Argentinian polo belt which is made of brown saddle leather. The be..
Apache is a hand made Kenyan beaded, brown leather belt that has a traditional native American desig..
Made of black saddle leather, Ascot is a hand embroidered Argentinian polo belt. The belt is st..
Made of suede finish capybara style leather, Aspen is a hand embroidered Argentinian polo belt. The ..
Badminton is a hand embroidered Argentinian polo belt which is made of brown saddle leather. The bel..
Made of brown saddle leather, Bath is a hand embroidered Argentinian polo belt. The belt is stitched..
Having a traditional native American design, Blackfoot is a hand made Kenyan beaded brown leather be..
Brighton is a hand embroidered Argentinian polo belt which is made of light brown saddle leather. Th..
Cambridge is a hand embroidered Argentinian polo belt which is made of brown saddle leather. 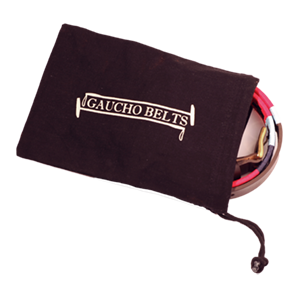 The bel..
Cerise Cut is a hand embroidered Argentinian polo belt which is made of suede finish capybara style ..
Made of brown saddle leather, Chamonix is a hand embroidered Argentinian polo belt. The belt is stit..
Made of brown saddle leather, Cheltenham is a hand embroidered Argentinian polo belt. The belt is st..
Made of brown saddle leather, Children's Westminster is a hand embroidered Argentinian polo belt. An..
Made of brown saddle leather, Children's Yale is a hand embroidered Argentinian polo belt. And ..
Cirencester is a hand embroidered Argentinian polo belt which is made of brown saddle leather. The b..
Made of brown saddle leather, Courchevel is a hand embroidered Argentinian polo belt. The belt is st..
Dartmouth is a hand embroidered Argentinian polo belt which is made of brown saddle leather. The bel..
Made of brown saddle leather, Davos is a hand embroidered Argentinian polo belt. The belt is stitche..